When an unknown solicitor insists that she meet with him immediately, saying it was on Prof. Owens instructions, Sarah is quickly drawn into a mystery surrounding her father’s last days and the secretive project he had become obsessed with. 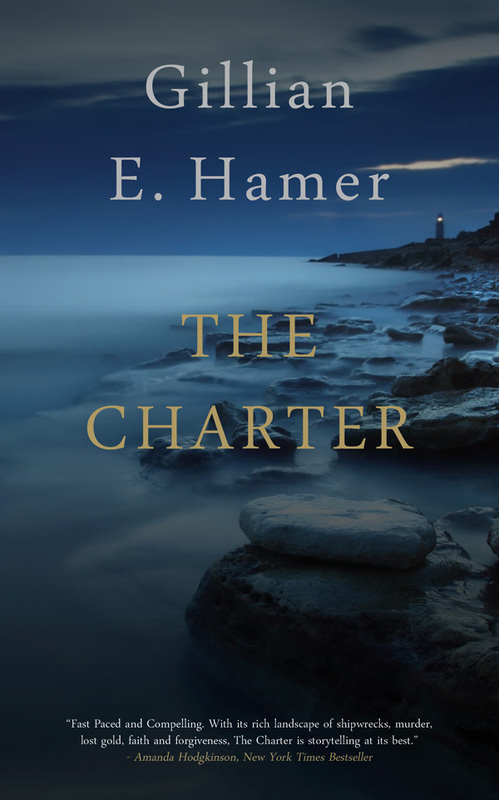 A few days later, her concerns give way to terror and grief when she discovers Dom’s body at the bottom of a cliff nearby her childhood home, Charter House, where they are staying. Injured trying to reach Dom, she ends up in hospital; the first of several occasions. Dom’s death draws the attention of DS Danny Buchanan, recently arrived from his own tragedy in Ireland and his partner DS Geraint Lewis. They had known the professor and were not certain that his death had been from natural causes. More deaths, a kidnaping and a desperate boat race are all products of the convoluted clue-filled treasure hunt that is her father’s last gift to her. 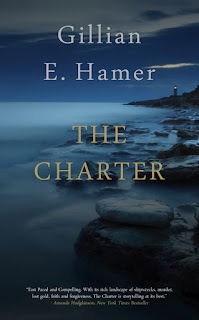 In the process we learn the truth about Sarah’s mother, about her father’s often unreasonable behavior and the tragic history of The Royal Charter, a ship carrying miners and their gold back from Australia that was wrecked on the rocks of Point Lynas in 1859. And there is a ghost: “My name is Angelina Stewart. I am eleven years old. And I am dead.” She appears at critical moments to lead Sarah into and out of danger. Like Sarah’s dead father, she too, has her own agenda. I liked his book. It is a fast paced adventure with interesting well-drawn characters. Ms. Hamer seems to know her Wales well and uses local terms in what seems like appropriate situations. The fantasy element, Angelina’s ghost, is very small, although critical to the plot. I confess to holding a long-term crush on this distinctive country on the Western coast of the United Kingdom. Reading the Ms Hamer’s well informed writing brought back memories of early trips and hatched a desire for a walking holiday on Anglesey. While Wales is—not yet—clamoring for devolution, it has certainly experienced a large measure of colonialist oppression. Despite its unique legal and cultural identity, soon after Edward I won a final victory against Llywelyn ap Gruffudd in 1282, the conquered Wales was incorporated as province of England. The process of destroying Welsh identity began immediately with the theft and melting down of the kingdom’s relics, and the suppression of their language. Behaviours that would later be practiced in Ireland. More than 700 years later, the assimilation process is still not complete. Wales and the Welsh people have continued to defend their language and traditions, while tolerating a Prince of Wales designated by the English Kings and Queens. While this book is not about the struggle of Wales for its identity, the sense of being in a different and special place permeates the writing. If I have any criticisms of the book, they come under the heading: Mis-used trope #71: Supposedly intelligent heroine behaves stupidly to advance plot. You know this one. It happens frequently in popular TV series and block-buster movies. We’ve all heard the female protog told, “Stay in the car.” often enough to know that as soon as the other, male, detective is out of sight, Miss I-Don’t-Take-Orders-From-Nobody will be off stalking around on her own, eventually getting captured or engendering a shoot out. The writers of these kinds of shows seem to be so devoid of other, better ideas, that the only way they can bring about the resolution of their story is to have the heroine behave stupidly. I don’t encounter this so much in books these days, but that may be because I have promised myself a year—a least—of reading quality female SFF authors. So I was frustrated to say the least when Sarah, who is by no means stupid, forgets to bring or use her mobile phone at critical moments, decides not to keep the—supportive—police fully in the loop about what she is uncovering, and walks down a flight of stairs in the dark to investigate strange noises. Remember, by this time it’s clear the there is a murderer about. But I ask you—Would you have done that? I know I wouldn’t. All in all it’s a delightful read, but I hope that in her future works Gillian Hamer will write female characters that provide more accurate role models for her readers. You know, smart men like smart women too.